Jini from MakeUpMom123 is celebrating her one year blogiversary! Congratulations Jini! 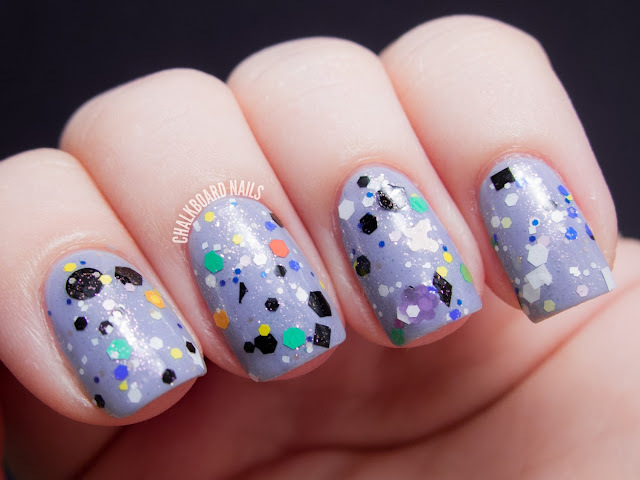 To mark the occasion, she collaborated with indie brand Girly Bits to create a special custom polish, called Jini Goes Indie. 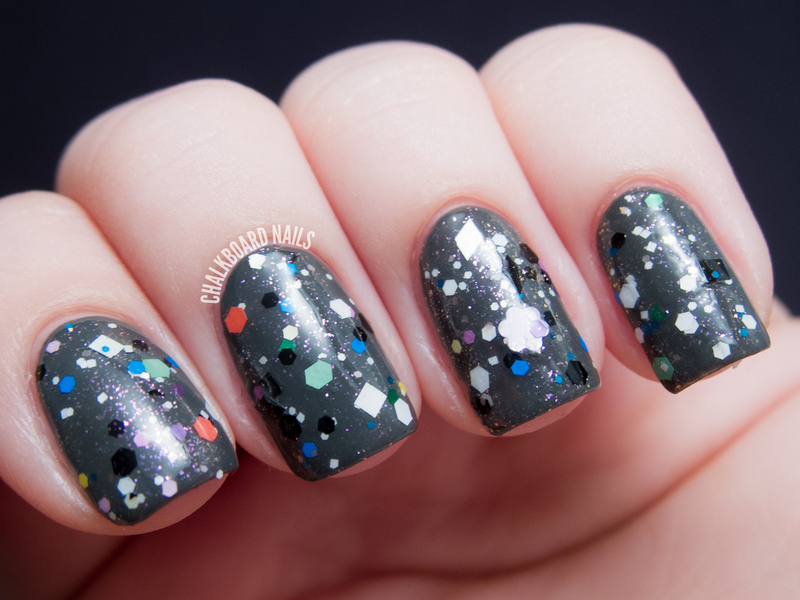 This glitterbomb has been stuffed with all sorts of shapes, sizes, and colors of glitter. Awww yea. Easier to see the pink shimmer now, right? I've used LCN Tokyo Expression as my base here. All of the photos in this post show just one coat of Jini Goes Indie. It's positively packed with glitter, and applied nicely, especially considering how many different types of glitter are in here. Good news! 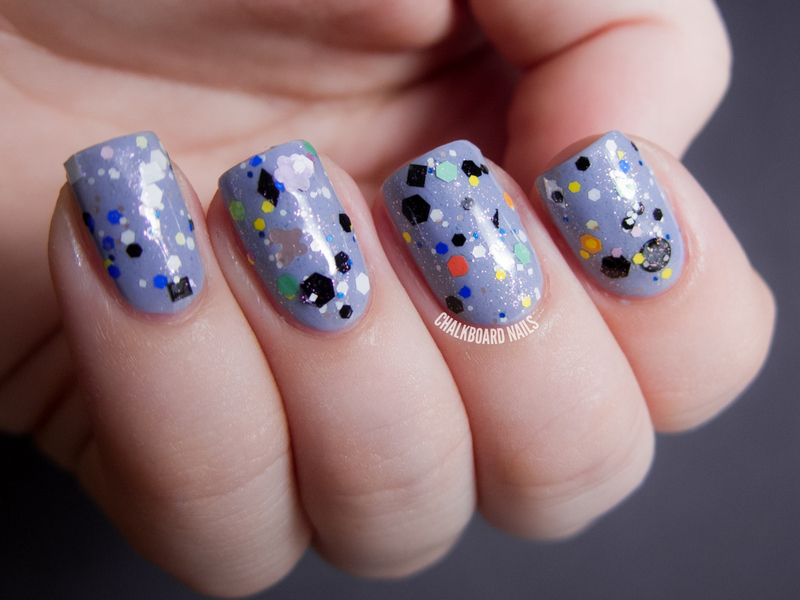 You can enter to WIN this polish (and a bunch of other prizes) in Jini's blogiversary giveaway! This polish is available for purchase directly from Girly Bits. You can also pick it up from these Girly Bits distributors: Llarowe, Harlow & Co., Femme Fatale, & Foxy Fingertips. That pink shimmer is gorgeous! I'm really loving this polish. 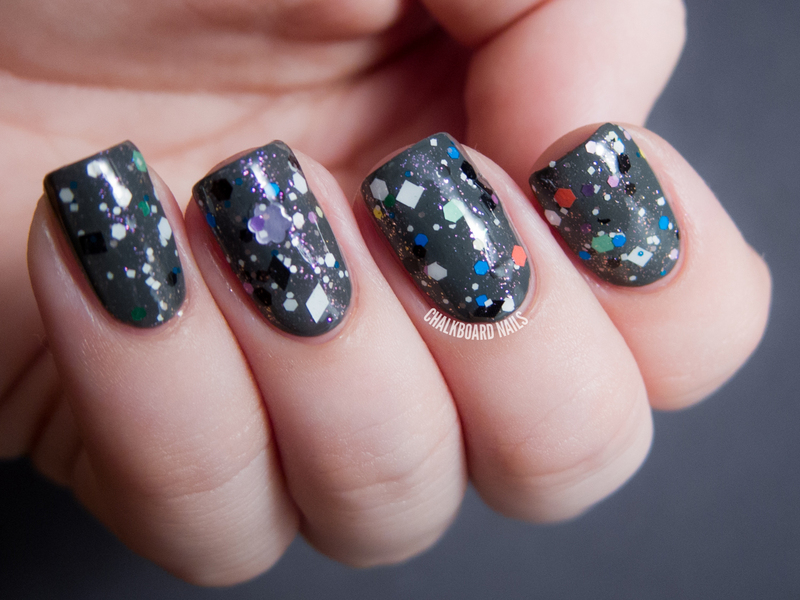 This nail polish it's amazing!